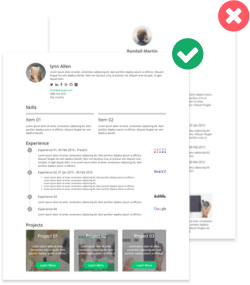 Using keyword comparison and resume analysis, CakeResume ranks each candidate and saves you time when you are filtering. 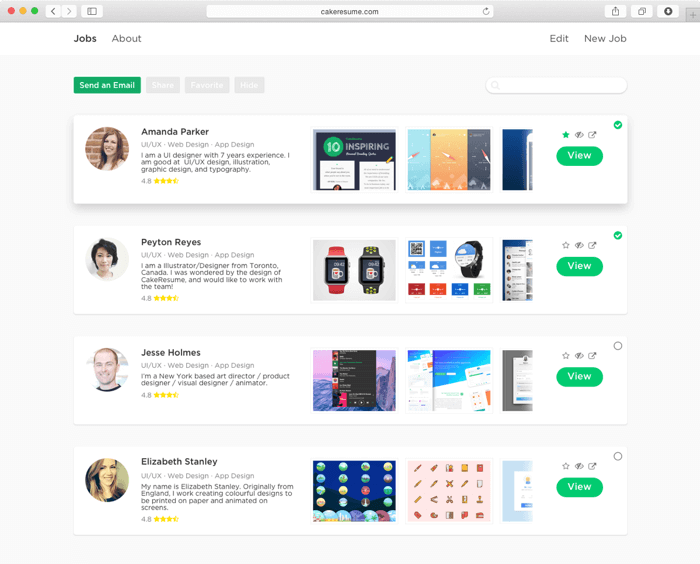 Our system uses machine learning to recommend talents based on your specific requirements. With our service, you can get the most accurate fit based on the needs of the job profile. 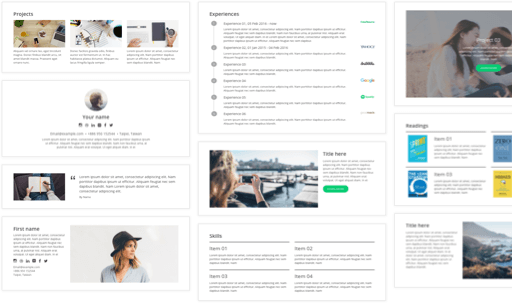 CakeResume gives you a well-rounded picture of the candidates, thus helping you find those talents who are most suited for your company’s culture. 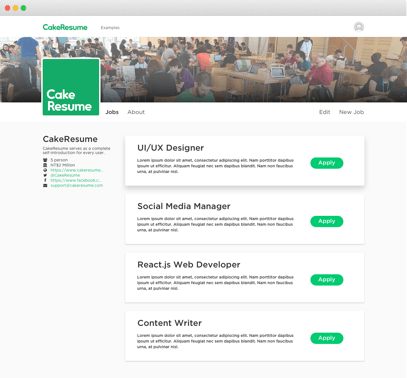 CakeResume has access to thousands of qualified young talents. Let us help you find fresh graduates and interns.